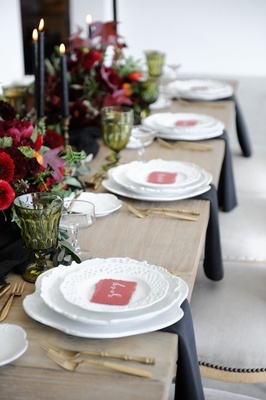 Select a fashion-forward color palette for your wedding using the deep, earthy, en vogue hue. 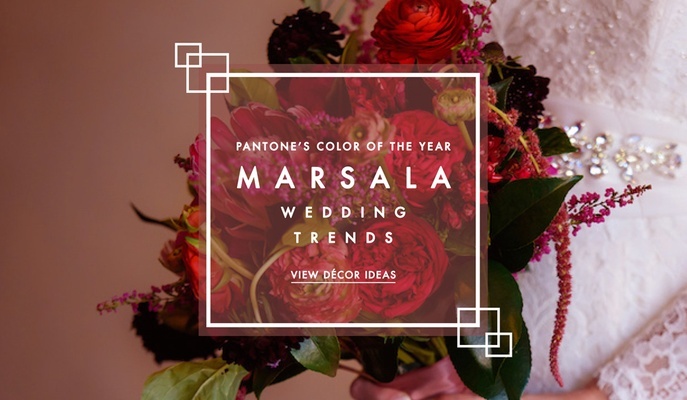 Browse inspiration from wedding events that incorporate Pantone's Color of the Year, Marsala. 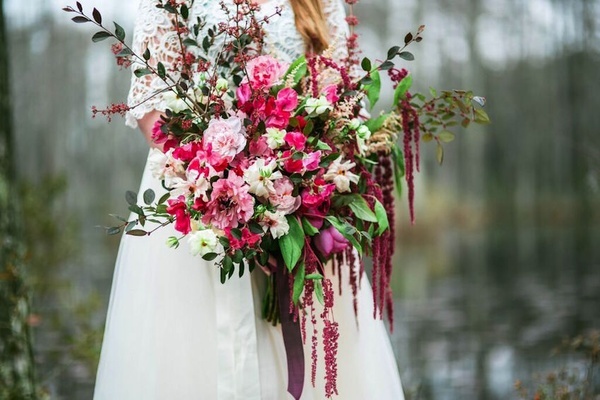 Ideal for outdoor fêtes, add marsala-hued amaranthus and florals into a large bridal bouquet. 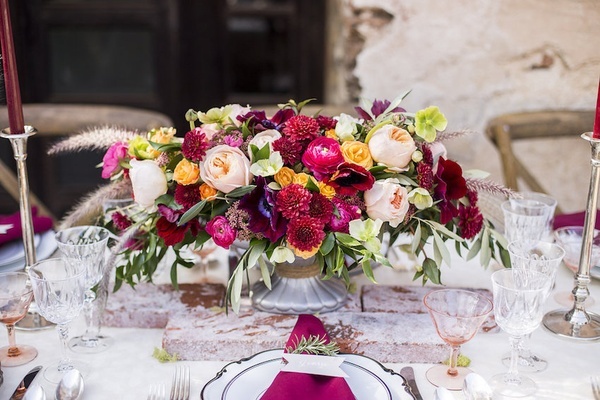 Photo: Erin Taylor / WildFlowers Inc.
Add marsala orchids and dahlias to a romantic reception centerpiece, like this design by The Hidden Garden. 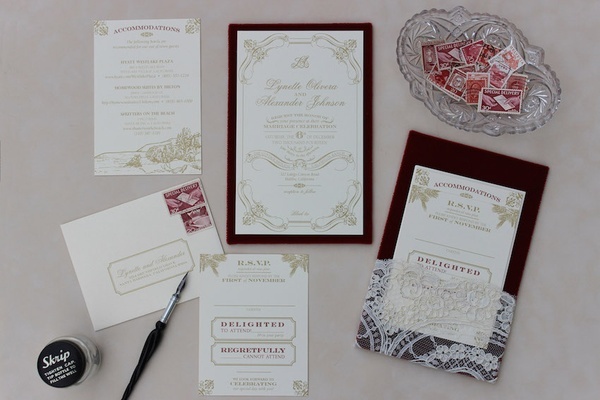 Embellish white and gold wedding invitations with marsala-hued accents and vintage-inspired stamps. 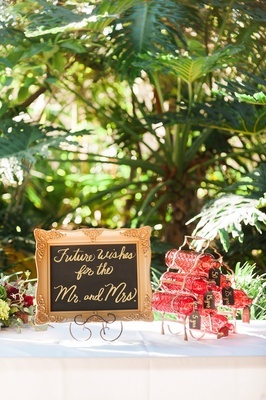 Have guests place wishes inside glass bottles in a marsala hue to open on future anniversaries. Offset dark floral arrangements with ombré napkins and crystal goblets in a lighter shade of marsala. 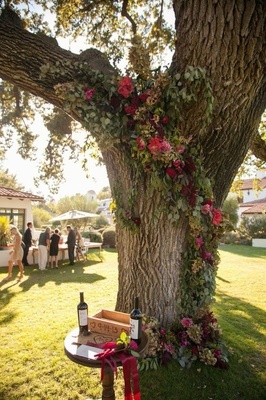 Adorn a large tree with garlands of greenery and marsala florals at an alfresco cocktail hour. 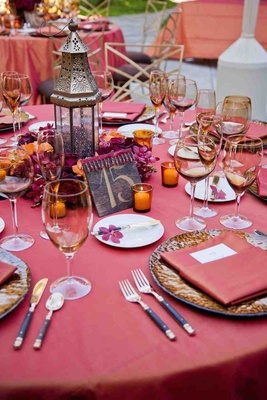 Incorporate marsala into floral centerpieces and table runners accented with gold sequin fabric and candles. 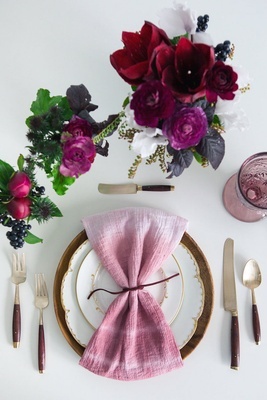 Complement marsala dinner napkins with mums, ranunculus blossoms, and additional florals in the same hue. 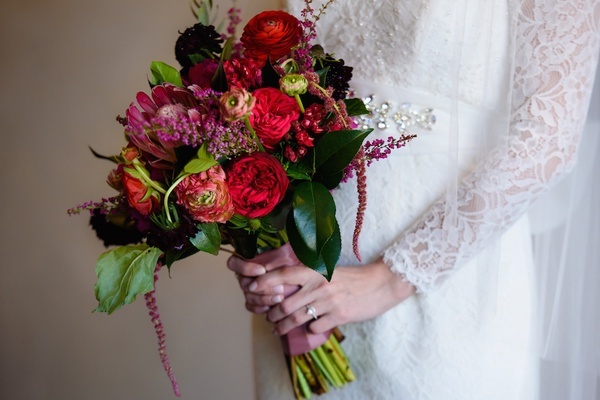 Create a rustic bouquet with greenery, scabiosa pods, pink roses, and marsala blooms. 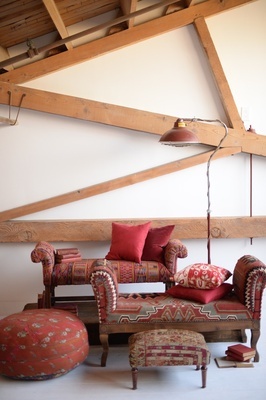 Incorporate marsala into poufs, ottomans, and chaises at your after-party. Linen napkins and earthy floral arrangements in marsala shades pair perfectly with dark wood. 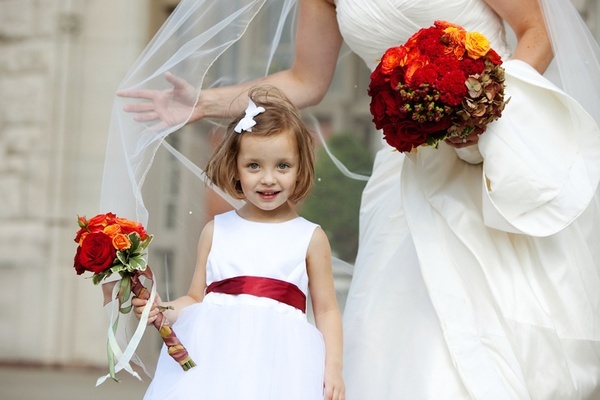 Attire your flower girl in an adorable white dress with a marsala sash around her waist. 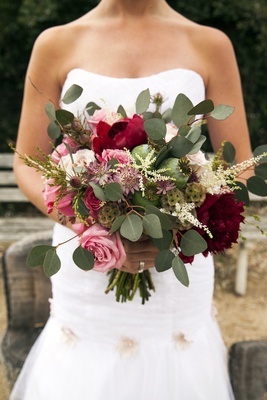 Add a pop of color to white bouquets by adding dusty miller and deep marsala blooms and foliage. Perfect for any season, attire bridesmaids in flowy marsala dresses. Marsala linen napkins, wine goblets, and orchid centerpieces pop against gold sequin linens. 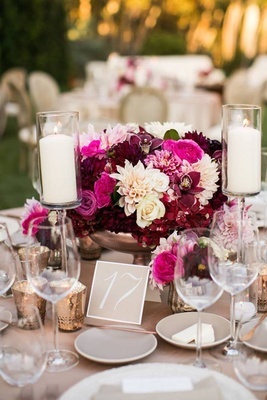 Black décor details such as taper candles add drama to a marsala-hued floral design. 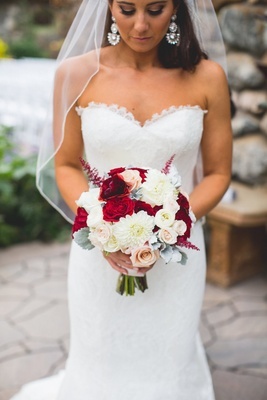 This bride's bohemian style was accented by a large marsala bouquet featuring unique blooms. 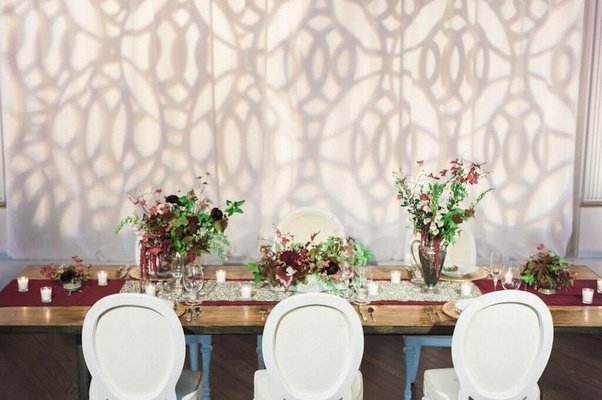 Complement a Moroccan wedding theme with marsala-hued florals and linens. 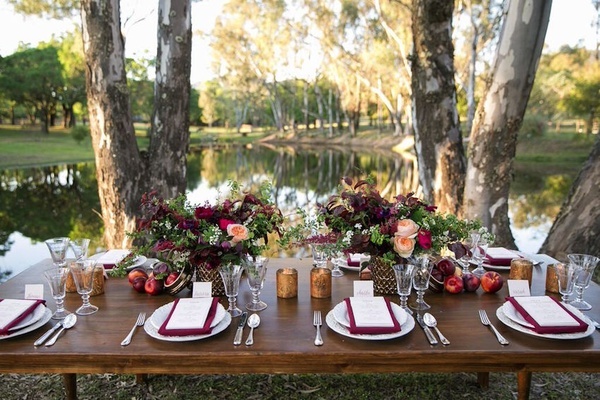 Incorporate marsala into earthy centerpieces and menu cards. 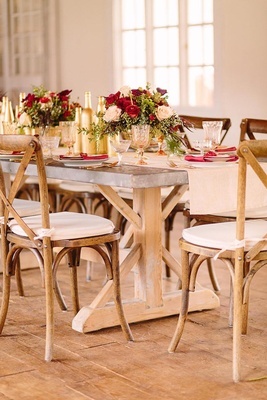 Roses and ranunculus blossoms in a marsala shade add a bold element to neutral tablescapes. 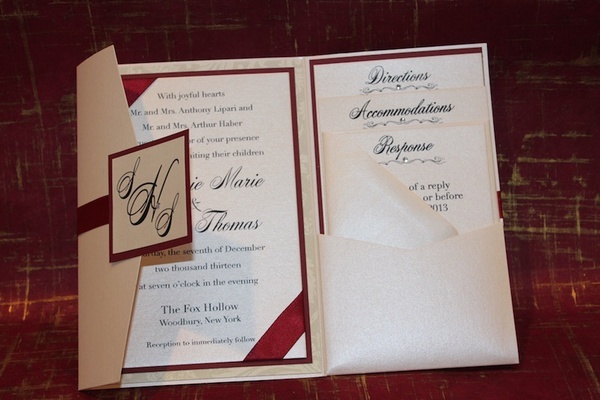 Set the tone for your festive wedding with a classic invitation featuring marsala ribbon. We also encourage you to visit our weddings and galleries pages to search real wedding images by your favored color palette!